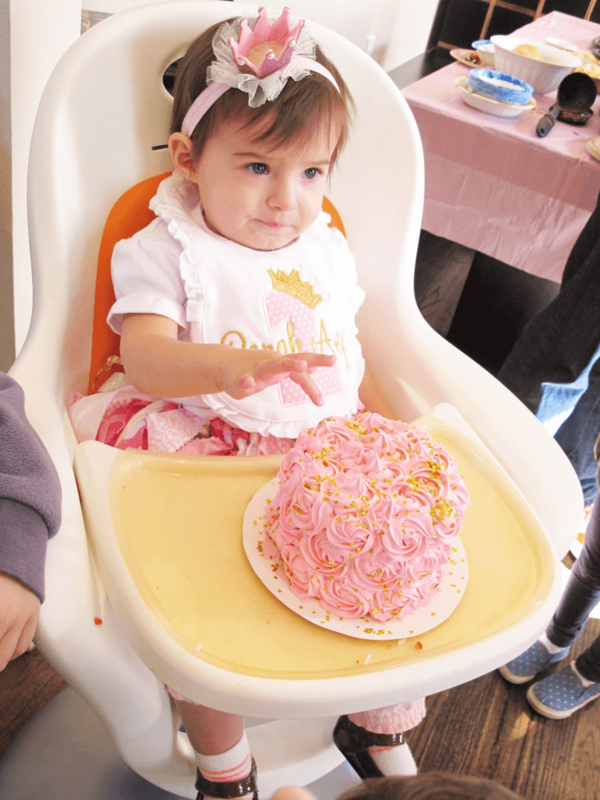 When you have a New Orleans baby you somtimes can’t resist the urge to have a very New Orleans birthday party–especially their first birthday. 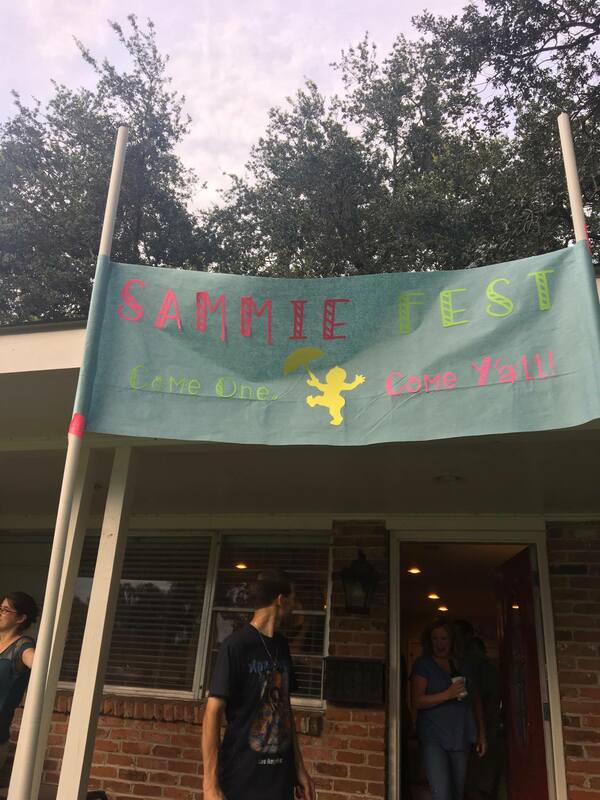 My cousin’s wife Sarah is a true creative force, so it came as no surprise to me when she turned out a very original theme for her daughter Samantha’s first birthday–Sammie Fest. 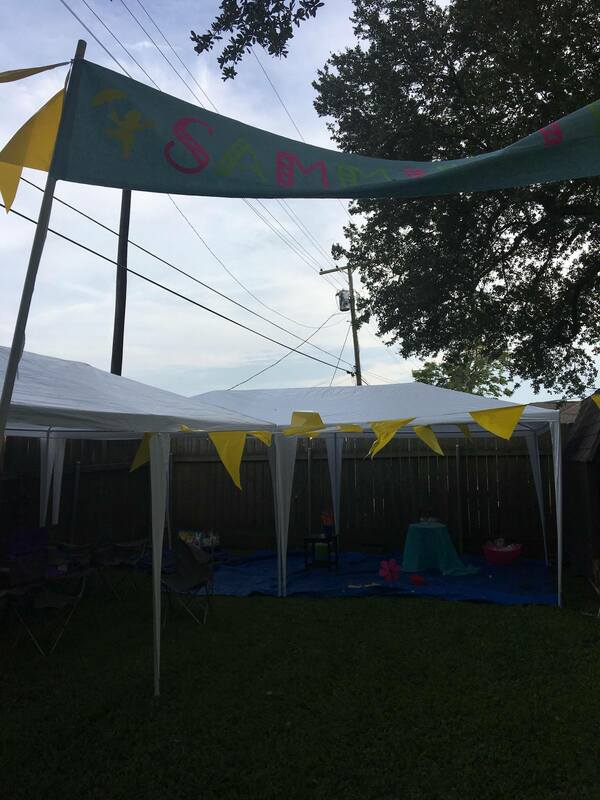 Her own spin on Jazz Fest, Sammie Fest featured tents, snow balls, personalized favors for the guests, flags, and even a mini-stage. 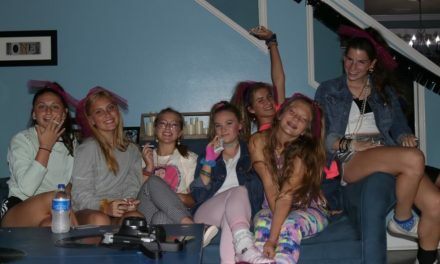 Sarah went alllll out on this one. 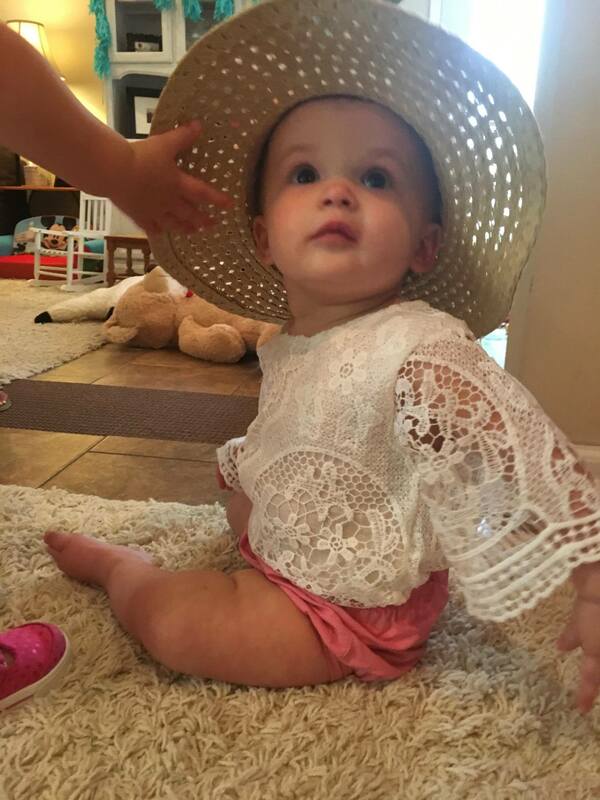 And as for the guest of honor, she decided to top off a perfect day by taking her very first steps. But I know y’all are really just here for the pictures–so here ya go! The sign as you entered Sammie Fest. The guest of honor in her finest festing wear. 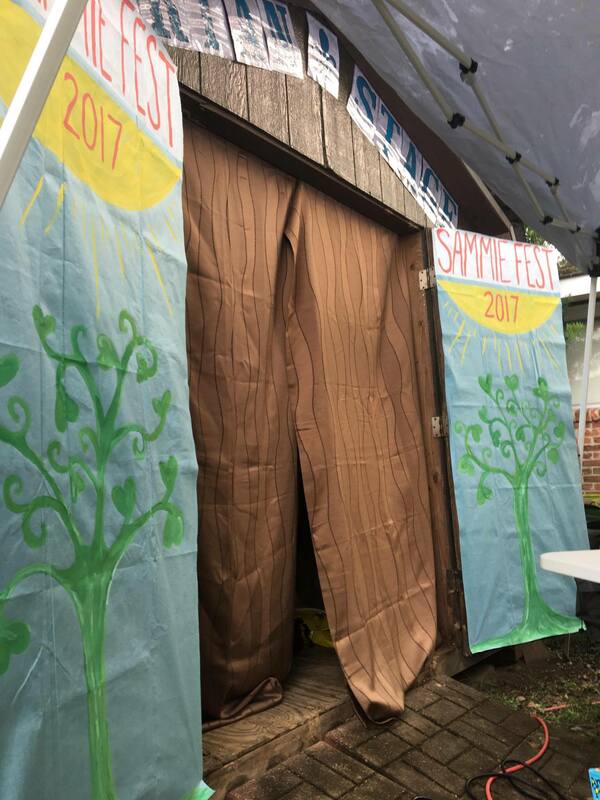 Sammie Fest even had its very own stage. 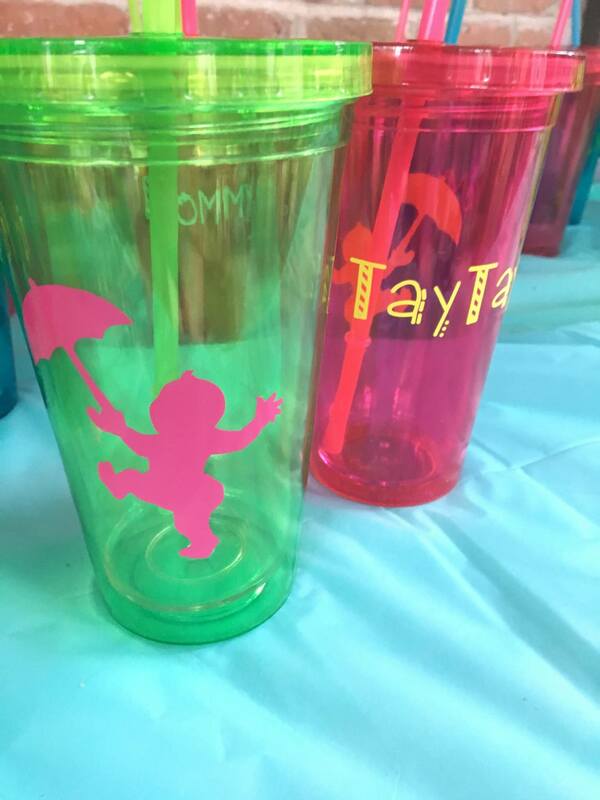 Guests received personalized favors with the offical logo of Sammie Fest on one side and their name on the other. 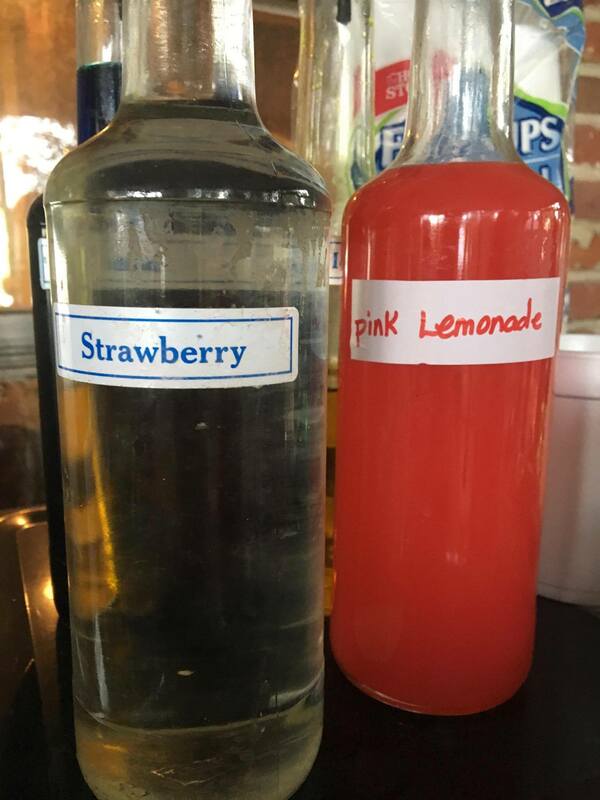 I didn’t even take pictures of the eight miles of food that was there–tons of New Orleans favorites like jambalaya and red beans and party favorites like seven layer dip and veggies. 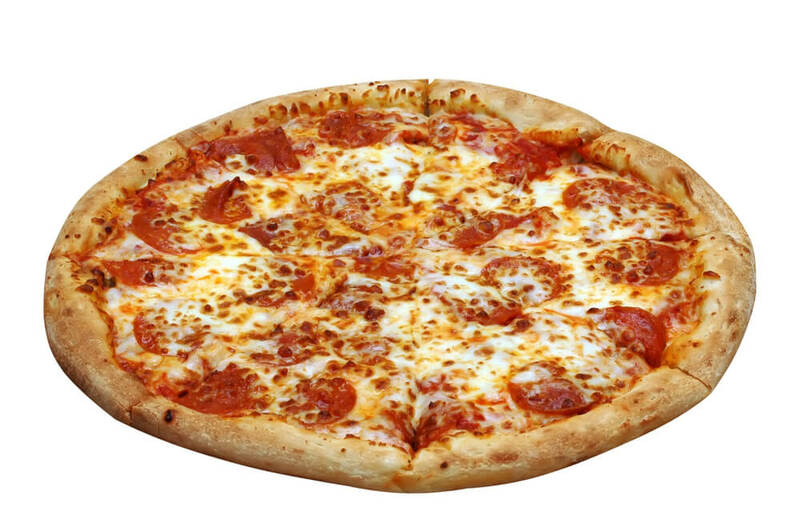 Honestly, I like Sammie Fest MORE than Jazz Fest–please don’t take away my NOLA card! 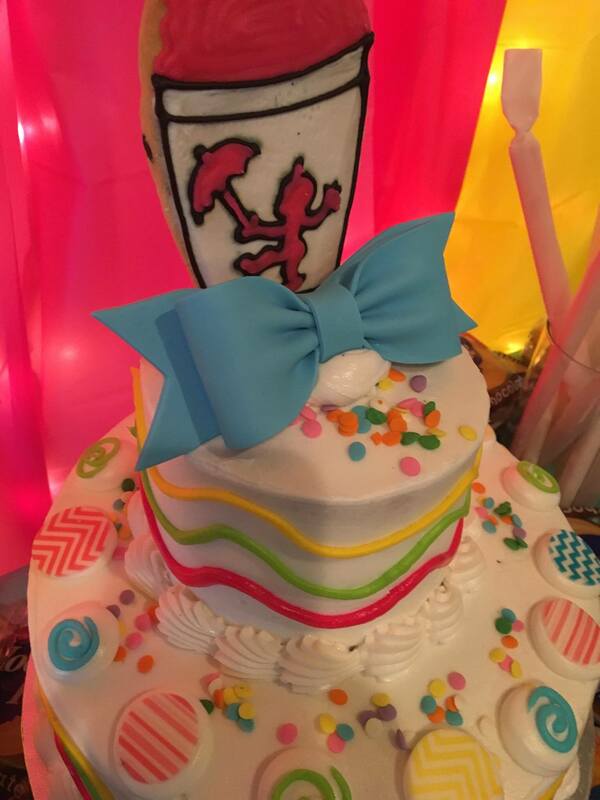 I hope if any of you are planning a unique birthday this post served as a little inspiration! 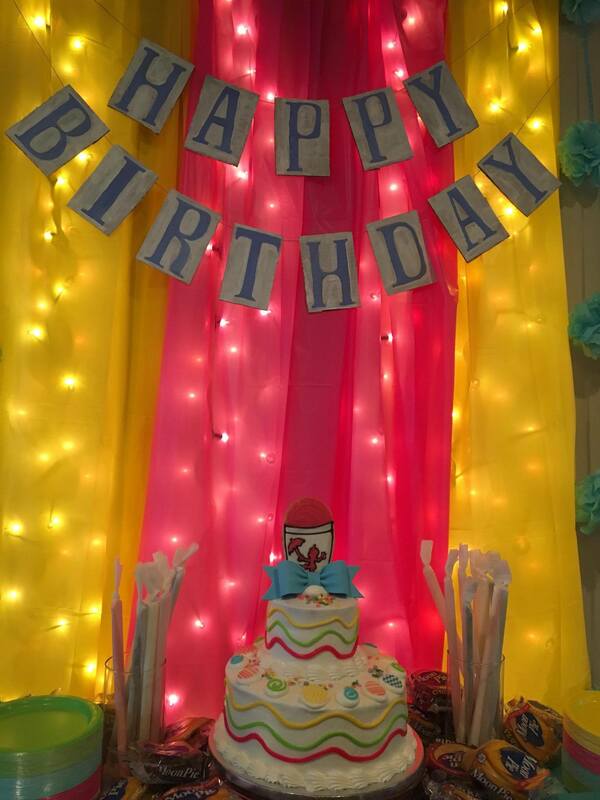 If you’re still looking for party inspiration, we have a whole page dedicated to just that! 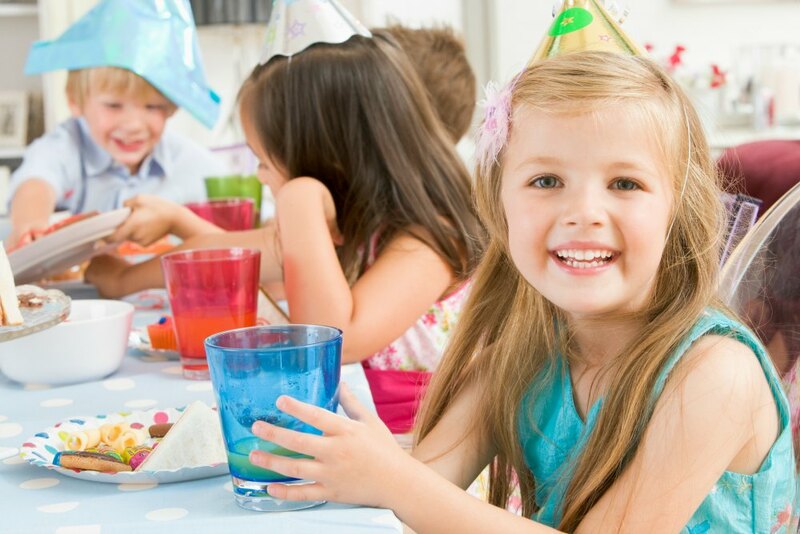 Visit our Party inspiration page to find tons of local parties thrown by parents just like you! 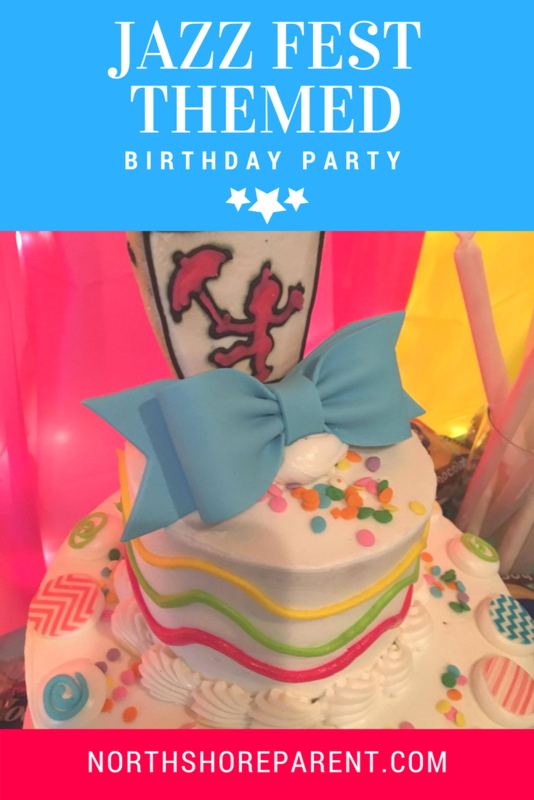 And if you’re looking for entertainment, cakes, or a venue we have all of that listed in our Birthday Party Guide–you should definitely check it out.